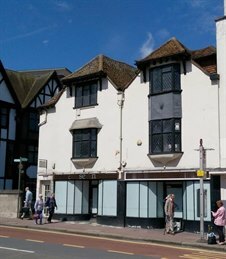 Cattaneo Commercial are delighted to announce the successful letting of 8-10 High Street in Kingston upon Thames to A-Plan Insurance. Demand for retail space in Kingston remains high and, as a result, Cattaneo Commercial have only one other shop to offer at 14 Thames Street, where the Landlord would consider letting the retail unit or the sale of the whole freehold. For further information lease contact either Adam Soliman or David Keates on 020 8546 2166.